Bayern Munich forward Thomas Muller is set to miss both legs of their Champions League last-16 tie against Liverpool after he was given a two-match European ban. 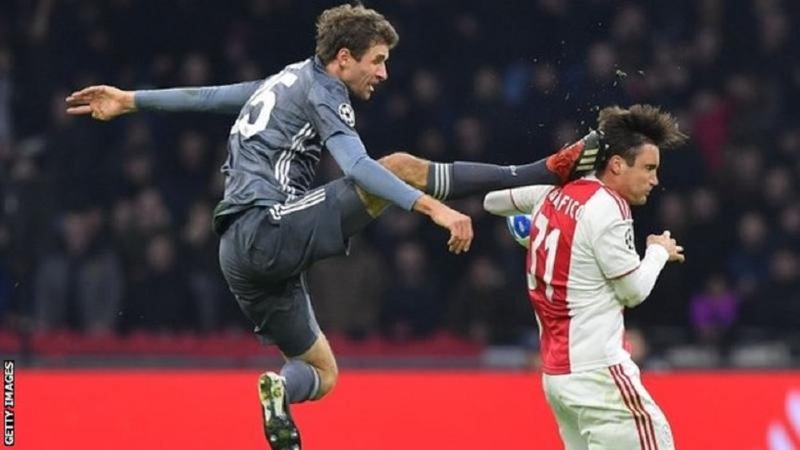 BBC Sports reports that Muller was sent off in December’s 3-3 group-stage draw with Ajax for kicking Nicolas Tagliafico in the head. The German – who has scored 42 goals in 107 Champions League appearances – has appealed against the decision.